You are here: Home / Government / News / City News / Free Concerts in August! 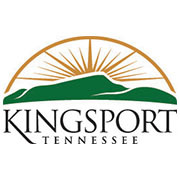 Allandale Mansion is hosting free concerts in August in honor of Kingsport’s centennial! The concerts start at 7:00 p.m. at the Allandale Amphitheater, and music lovers can get food and beverages starting at 6:00 p.m. Foodie Fiction and Sleepy Owl Brewery are sure to serve up something for everyone. Auntie Ruth’s Donuts will be present for the August 17th concert! https://www.kingsporttn.gov/wp-content/uploads/K-180x180.jpg 180 180 adrienne https://www.kingsporttn.gov/wp-content/uploads/logo-1.png adrienne2017-07-31 13:51:372018-04-30 16:20:31Free Concerts in August!